Measures approximately 3.5″ diameter x 1.75″ tall. 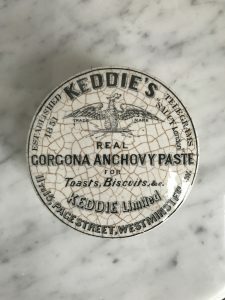 This is a listing for one (1) Keddie’s Real Gorgona Anchovy Paste for Toasts, Biscuits, & c. Keddie Limited, 11 to 15, Page Street, Westminster, S.W. 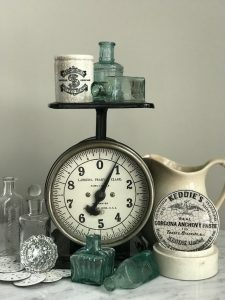 Great addition to your Antique English Advertising Pot collection. Please consider the images as the best part of my description. 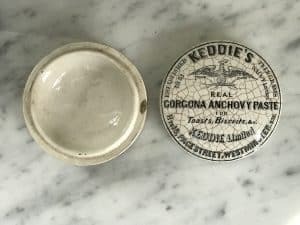 The lid is in good condition with no chips or cracks but has heavy overall crazing. 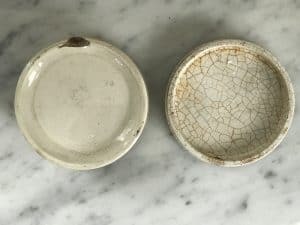 The base has a small chip to the bottom and the rim. Displays well.